Neuropathy is a debilitating condition defined by pain, numbness, and weakness. Discover CBD and medical marijuana for neuropathy and learn how it can help. An estimated 20 million Americans suffer from neuropathic pain, a debilitating form of chronic pain that results from nerve damage. For individuals who live with the condition on a daily basis, the pain is often so taxing, it severely impedes on their physical, social and emotional health. With current treatment options providing little to no improvement in the quality of life, both medical researchers and patients are turning their attention towards medical marijuana, which has been used as a natural analgesic for centuries. So could cannabis be a safe and effective way to reduce neuropathic pain? Quite possibly. But let’s start by discussing neuropathy, and its causes. Neuropathy refers to damaged or dysfunctional nerves, which can cause neuropathic pain, numbness, and weakness in one or more parts of your body. Unlike nociceptive pain, which results from actual tissue damage, neuropathic pain occurs when these damaged or dysfunctional nerves send false signals to pain centers in the brain. You can think of it as a malfunctioning burglar alarm: there is no burglar, yet the alarm bells are blasting a warning. In most cases, neuropathy is idiopathic, meaning it arises spontaneously and has no known cause. For example, neuropathic low back pain is commonly caused by abnormal pain processing, rather than an underlying musculoskeletal condition. In other cases, neuropathy is caused and maintained by an underlying condition, the most common being diabetes, but also alcoholism, HIV/AIDS, multiple sclerosis, or toxicity due to cancer treatments, like chemotherapy. Peripheral neuropathy affects the nerves in peripheral (outer) parts of the body, such as the arms, hands, legs, and feet. Proximal neuropathy involves nerve damage in the muscles of your hips, buttocks, or thighs, and is typically limited to one side of the body. Diabetic neuropathy is caused by both type 1 and type 2 diabetes. It commonly affects the hands and feet, but can also interfere with automatic functions, such as digestion. Pain Medication: Over-the-counter pain medications, such as nonsteroidal anti-inflammatory drugs (NSAIDS), generally aren't effective at relieving neuropathic pain, as unlike nociceptive pain, the condition does not result from inflammation. Instead, opioid medications, such as tramadol and oxycodone, are often prescribed despite the fact these drugs can lead to dependence and addiction. Antidepressants: Tricyclic antidepressants, such as amitriptyline, nortriptyline, and doxepin, are also typically used to neuropathic pain. They work by increasing the availability of chemical messengers, serotonin and noradrenaline, which are thought to have a positive influence on pain pathways. Newer antidepressant medications, like selective serotonin reuptake inhibitors (SSRIs), may also ease neuropathic pain. However, antidepressants have severe and unpleasant side effects, including drowsiness, nausea, difficulty breathing, insomnia, dry mouth, increased appetite, constipation, and sexual dysfunction. Furthermore, stopping antidepressants suddenly is also associated with withdrawal symptoms. Anticonvulsants: Medications used to prevent seizures, such as gabapentin and pregabalin, are also used to relieve nerve pain. However, similar to antidepressants, these medications have considerable adverse side effects, and response rates remain suboptimal, with pain relief often insufficient to improve quality of life. In 2008, researchers assessed the efficacy of smoking cannabis on central and peripheral neuropathic pain in 38 patients. Patients were randomly assigned to either high-dose (7%), low-dose (3.5%), or placebo (fake) cannabis, and cigarettes were smoked during treatment: 2 puffs at 60 minutes, 3 puffs at 120 minutes, and 4 puffs at 180 minutes. The effects of cannabis on neuropathic pain have been examined in various meta-analyses and systematic reviews. A meta-analysis combines the results of all relevant studies and aims to find a common truth through quantitative and statistical procedures, while a systematic review collects and summarises evidence for qualitative analysis. How Does Marijuana Improve Neuropathic Pain? Cannabis sativa contains more than 100 different chemical compounds, known as cannabinoids, which have different effects on the body. Tetrahydrocannabinol (THC) is the main psychoactive cannabinoid associated with “getting high”. Cannabidiol (CBD) is the main non-psychoactive cannabinoid, commonly associated with therapeutic benefits. Cannabinoids exert their effects by interacting with receptors through the endocannabinoid (eCB) system. To understand how cannabinoids can improve neuropathic pain, let’s take a look at the peripheral nervous system. The peripheral nervous system is made up of nerves, which serve as information channels that allow the brain and spinal cord to communicate with tissues and organs throughout the body. Within each nerve are interconnecting neurons, or nerve cells. 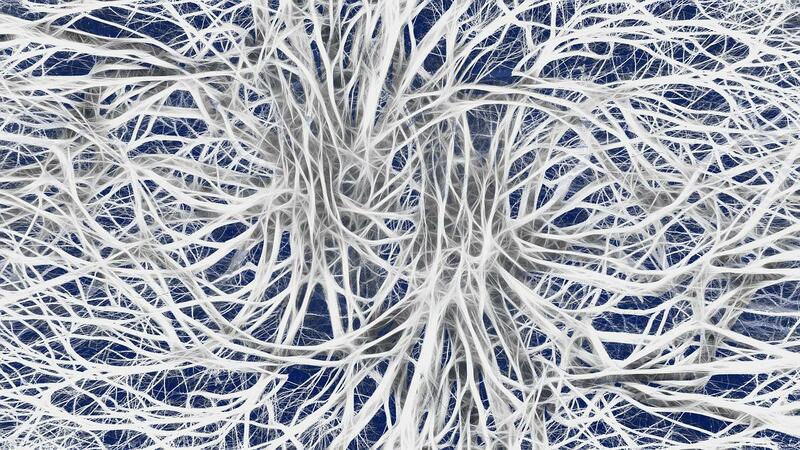 Each neuron consists of three main parts: dendrites, an axon, and a cell body. 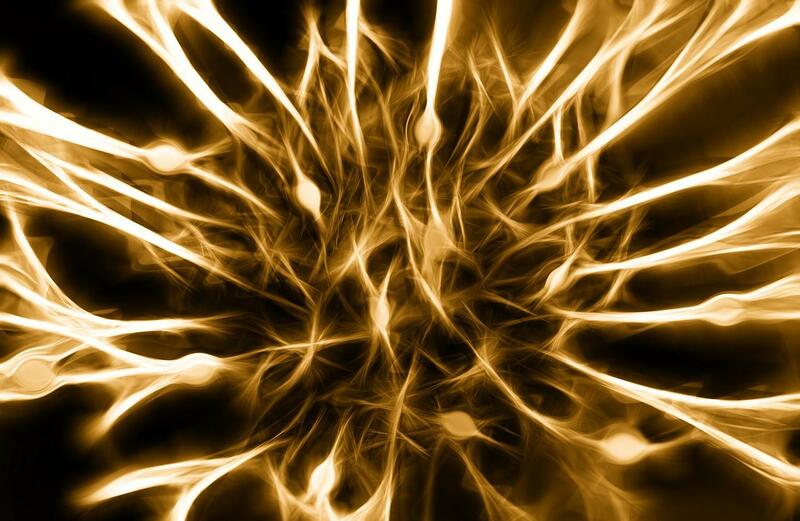 Dendrites are responsible for detecting sensations felt by receptors in our tissues and organs, which are then transferred along the axon toward the spinal cord and brain. When a nerve is damaged, altered gene activity within individual nerve cells (neurons) can become over-sensitive or hyper-reactive. This process is known as sensitization, and it occurs as a result of ongoing pain receptor input, which persists after tissue damage has healed. This ongoing pain receptor input is created by cellular activities, including increased availability of excitatory neurotransmitters and a greater number of excitable pain receptors. Can CBD Heal Nerve Damage? 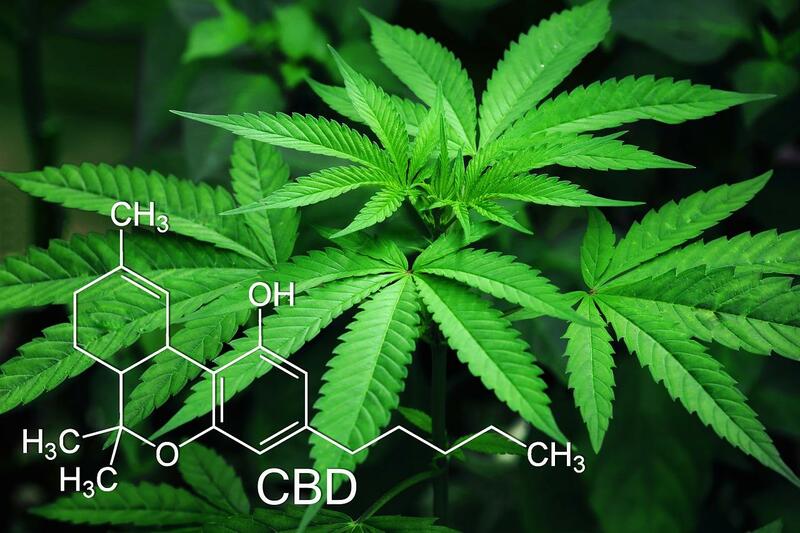 As cannabidiol (CBD) delivers analgesic effects without any psychotic effects, there has been significant interest in isolated CBD products for chronic pain. As a result, CBD is available in a range of products from tinctures and sprays to concentrates and creams. But how much evidence is there to support these CBD products for neuropathic pain? Some preclinical studies suggest that CBD alone or combined with THC can reduce chronic neuropathic pain, although there is no evidence to suggest CBD can completely heal nerve damage. However, most adverse side effects are linked to high-THC/low-CBD strains. In fact, CBD actually counteracts the psychoactive effects of THC, with proven anti-anxiety and antipsychotic properties. Therefore, using strains with a higher concentration of CBD, or CBD isolate, may be a better option for those you want to avoid the psychological effects of cannabis. With recent scientific discovery elucidating the important role cannabinoids play in managing neuropathic pain, cannabis is becoming an increasingly viable alternative for patients that don’t respond well to or cannot tolerate standard medication. 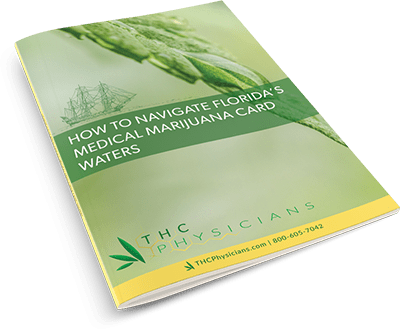 Tierra Healthcare doctors provide medical evaluations and authorize Florida Medical Marijuana Cards for patients who qualify.